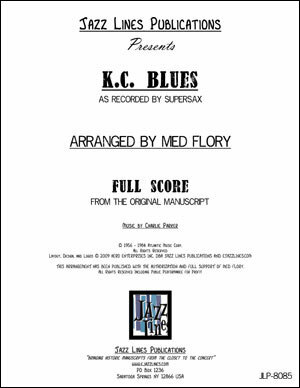 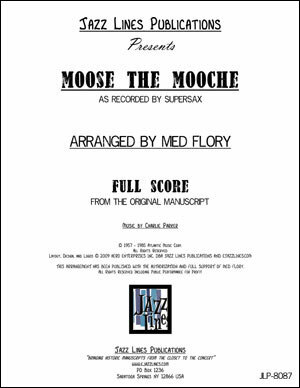 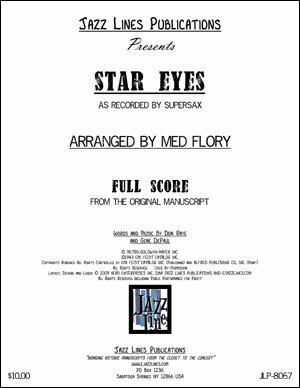 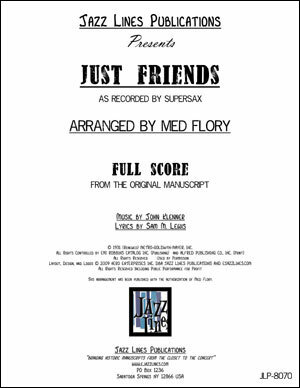 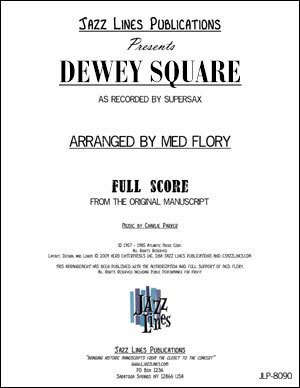 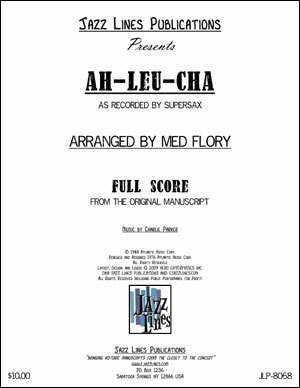 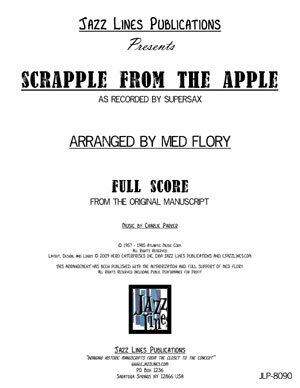 Here is Med Flory's arrangement of 'Bloomdido' as recorded by Supersax. 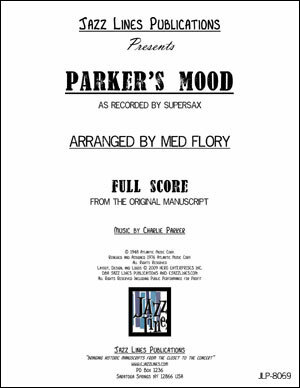 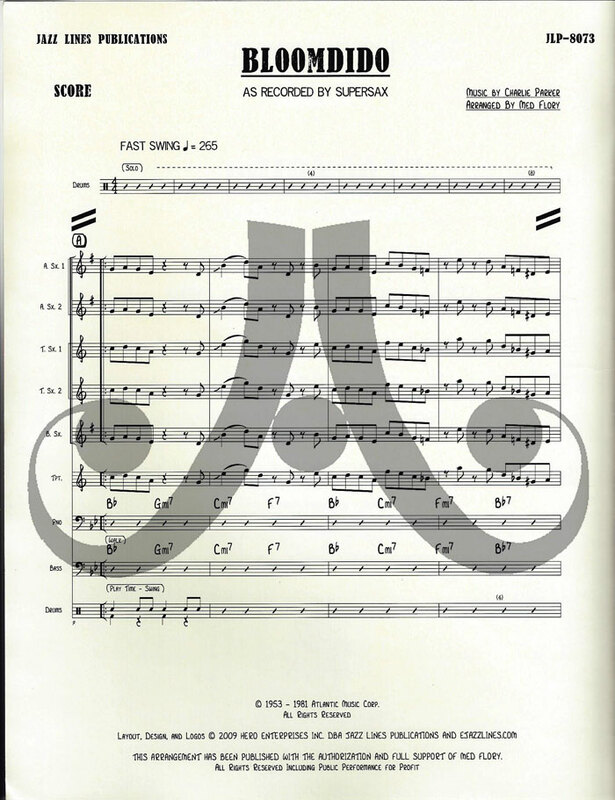 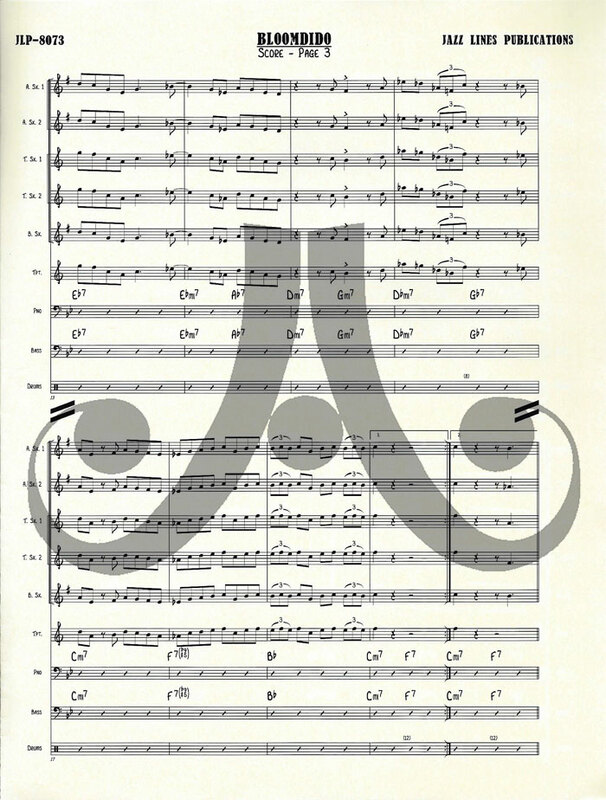 Charlie Parker's original solo was transcribed in full by Med Flory and then harmonized to be played by a standard big band sax section (2 altos, 2 tenors and 1 baritone) with a trumpet and rhythm section (Piano, bass, and drums). This arrangement, built around a B flat blues, features an open solo section.